Nothing pairs better with rhubarb than strawberries when it comes to desserts. Here’s a recipe that uses freeze dried strawberries and fresh rhubarb to create a light, yet refreshing springtime dessert. It’s that time of year again for fresh, tart, and delicious rhubarb! Nothing pairs better with rhubarb than strawberries when it comes to desserts. Here’s a recipe that uses Brothers-All-Natural Sliced Strawberry Fruit Crisps and fresh rhubarb to create a light, yet refreshing springtime dessert. *Tip: to peel rhubarb, simply take a paring knife, grab a few threads at the end of the stalk and pull down toward you. It should come off in long strands. Although this step is not mandatory, it does help eliminate some of the tougher stringy texture of rhubarb. Also important: When peeling rhubarb, please make sure to wear protective clothing such as an apron. Sometimes the color from the rhubarb can spray during the peeling process. Wash and peel rhubarb. Dice and place in a large pot. 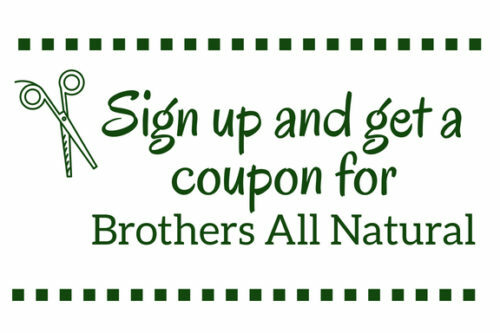 Add Brothers-All-Natural Sliced Strawberry Fruit Crisps and fresh strawberries. Add sugar and water and cook mixture over medium to medium-high heat until it breaks down and becomes soft. Add more water if necessary during the cooking process. Mixture should bubble and be slightly foamy when it comes to a simmer. Mash with a potato masher to break down any extra-large chunks. When mixture has finished cooking, let cool to room temperature or refrigerate. 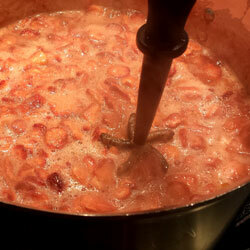 To serve, ladle a small amount of strawberry-rhubarb mixture into the bottom of each of 12 bowls. Slice open 12 biscuits and place the bottom half of each biscuit on top of strawberry-rhubarb mixture. Ladle more strawberry-rhubarb on top of each biscuit then put the top of each biscuit on. Finish with fresh whipped cream and serve.